They’re back! 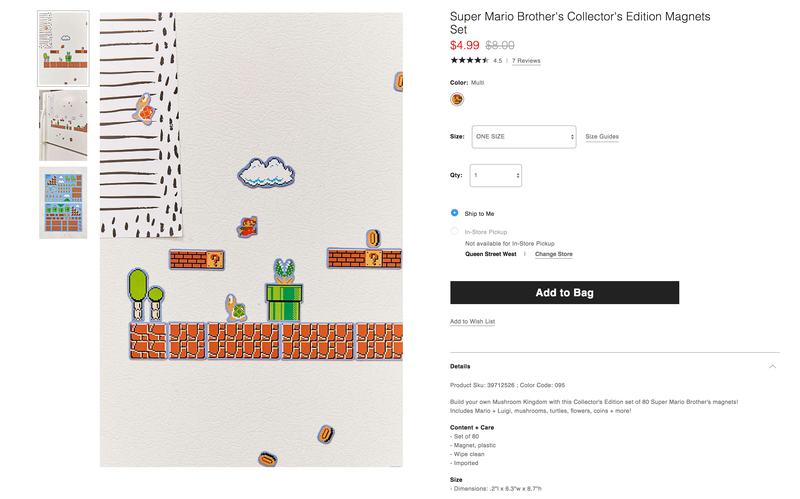 Urban Outfitters is once again offering a Set of 80 Super Mario Brother’s Collector’s Edition Magnets for $4.99 shipped. That’s $3 off the usual $8 price tag. You’ll find this set matched at Spring, but this is the best price we can find. Similar sets sell for around $8+ on Amazon and this one goes for around $12. Rated 4+ stars from over 20 Amazon customers. Build your own Mushroom Kingdom with this Collector’s Edition set of 80 Super Mario Brother’s magnets! Includes Mario + Luigi, mushrooms, turtles, flowers, coins + more!